Lean Tip #166 - Employees should use a standard format to ask problem-solving questions. Employees should use a standard format to ask problem-solving questions. Try this format below to ensure the quickest response and the most learning. Describe the problem in a sentence or two. Where is the problem located? What may have caused the problem? How long has the been going on? How have you tried to fix it? Who else is working on it and what are they doing? Lean Tip#167 - Use a demonstration worksheet when you want to show someone how to do something. Provide a reason for the demonstration. Demonstrate at a normal pace. Demonstrate again and explain the logic behind each step. Have your apprentice talk you through the steps. I suggest that you let your apprentice know that you're going to use this technique so they don't get nervous along the way. Lean Tip #168 - Don't trust body language when transferring knowledge, use open-ended questions. Beginining: What do you already know about the topic? Middle: What did your hear me say? End: What are you going to do when you leave my side? Lean Tip #169 - Teach what you know in 5 simple steps. Start with a time-bound learning goal and a warning to your apprentice as such, " By the end of the shift you're going to be able to ..."
Deliver content for no more than 10 minutes. Stop and ask your question, like "Why don't you tell me what you heard me say?" Listen to the answer and offer suggestions if there is anything missing or incorrectly stated. Repeat Steps 2, 3, and 4 three times. Lean Tip #170 - When teaching people it is important to define the big picture. What is your team's mission or purpose? How does our work fit with the organization's mission? Who are our internal and external customers? How do we prioritize our work for them? What are the specific products or services we provide? Where are we in the product or service value stream? How does the work flow for your job? Lean Tip #171 - Keep papers from accumulating with clutter questions. L Likely I'll need it? T Timely, timeless, or dated? T Time to read it? R Relevant to my work or life? Lean Tip #172 - Find a balance between personalizing your work area and minimizing distractions. Personalizing your work space is nothing more than making the space look like you work there. Distractions can increase exponentially according to the number of doodads sitting around in you work area. Is it too large or does it take up too much space? Is it so small it gets lost or swept off surfaces? Is it too fragile? Are you afraid it might get broken? Is it distracting? Do you find yourself playing with it, working around it, or otherwise fussing with it? Am I happier if I have this item near me? Lean Tip #173 - Take Control of your time by knowing when to stop working on a task. Will the results be substantially better if I put in more effort? Will I get paid more? Have I gone as far as I can without getting help? Have I already done more than is expected of me? Your answer is the key to whether you should keep at the task, or just STOP! Lean Tip #174 - Increase your productivity by budgeting time the way you budget your money. Allow a certain amount of time for completing each task. Set a timer when you start. The alarm saves you from tasks you don't like to do and pulls you from jobs you like and would spend too much time on. Lean Tip #175 - Don't contribute to e-mail clutter yourself. Keep each message to one topic. Keep your message brief, but do include all the details necessary for the recipient to properly respond. 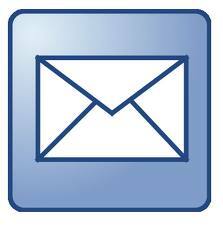 Clearly define the topic in the message header or subject line. Don't leave blank. Stifle the desire to send everyone you know a copy. Avoid the one word reply and the unnecessary reply to all. Lean Tip #176 - Improve your meetings with the seven step process called "RE-7"
These measures can be summarized in the seven step "RE-7" approach to meetings. Followed carefully, it will facilitate your meeting planning and help you measure the effectiveness of your meetings. The mnemonic device will help you to better remember each measure. Lean Tip #177 - Efficient meetings are the result of careful planning by the meeting planner. Lean Tip #178 - Thinking about how to resolve restraints before a meeting will make the outcome successful. A good meeting organizer will be prepared to deal with these before they become a barrier in the meeting. Lean Tip #179 - Use a checklist to standardize the meeting process for effective and efficient meetings. Meetings are part of business in most organizations. Common complaints about meetings center around their ineffective and inefficient process. That is right the meeting is a process and can be improved as such. Creating a standard format and checklist for meeting preparation can aid in making your meetings add value to the organization and the participants. Lean Tip #180 - Appointing monitors for your meeting can ensure everyone stays on topic within the time frame. As long as people attend meetings, there will be temptation to disregard topics and times and get caught up in a particular point of contention or special interest. Select a person to monitor the time and another person as the topic monitor. There two individuals will be responsible for ensuring that everyone adheres to the topics on the agenda within the recommended time frames.